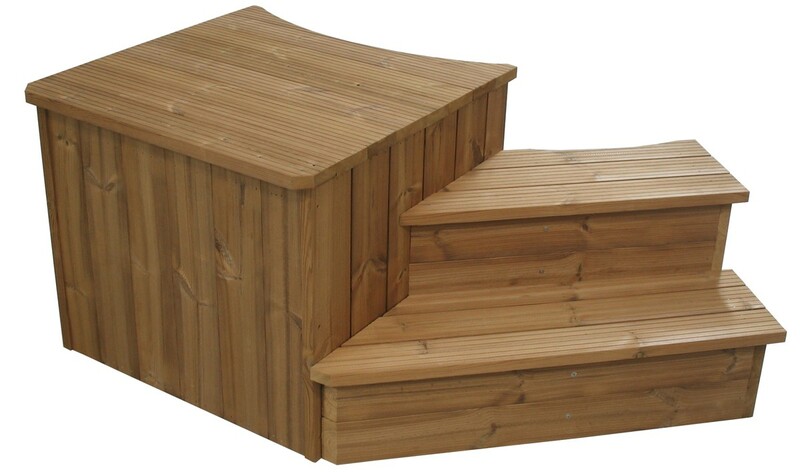 Special stairs in 3 parts for Hot Tub 150. Designed to hide away pumping equipment and filters for the bubble and filtration systems. Detachable cover on the box-part. The stairs are a separate part that can also be screwed in place. The measurements for the box with cover are: Width 750 mm, height 630 mm, depth 700 mm. The corresponding stats for the stairs is 1000 mm, 425 mm and 530 mm. Manufactured from heat treated pine. Delivered in kit form with pre-drilled holes and stainless steel screws included. Having a wood burning heater installed on the outside o..